I’ve had a busy last few weeks… My still-new job ended up expanding not only to fill the time available but a little bit more than that, with a major new area to oversee… And we’ve just had a new kitchen installed (amazing how one small room being out of action can completely disrupt life as you know it for 6 weeks). 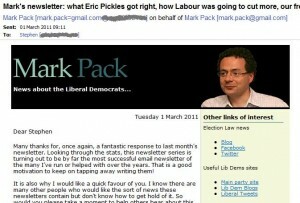 Net result: I’ve had zero time to blog, nor to follow Lib Dem life with my customary obsessiveness. Forget editing Lib Dem Voice — days have gone by when I’ve not even read it. It’s almost been like being a normal person. 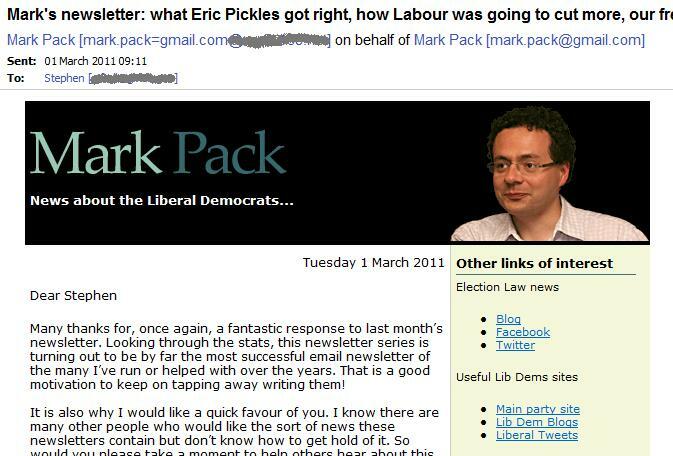 I have therefore been more than usually grateful to my Voice co-editor, Mark Pack, who as well as uncomplainingly letting me take an unplanned sabbatical has also helped me catch-up / keep abreast of key Lib Dem happenings thanks to his monthly newsletter. It offers a quick-but-fab one-stop-shop: highly recommended. You can sign up for it here.